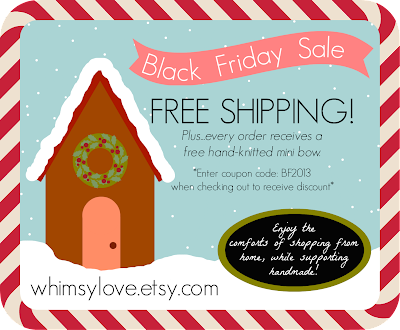 WhiMSy love: Black Friday Sale! 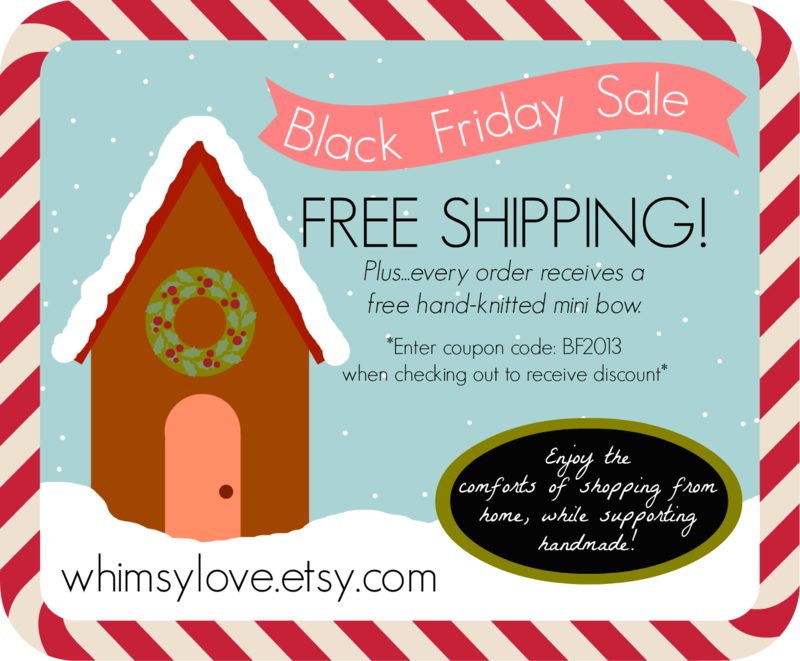 Free shipping + free hand-knitted mini bow in every order! Enter coupon code BF2013 when checking out to receive discount. Click HERE to visit WhiMSy love. SALE GOOD THROUGH MONDAY, DECEMBER 2nd! !